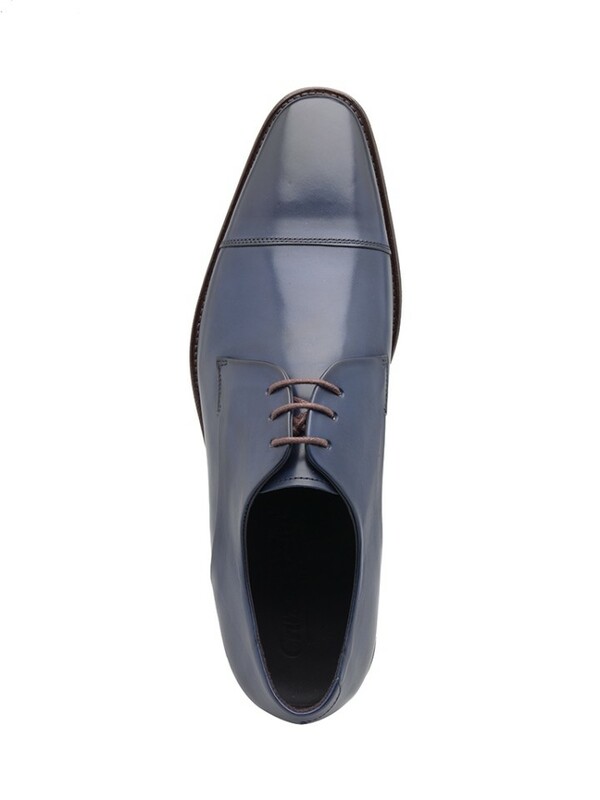 There is a space in every gentlemans wardrobe for a pair of the quirky blue derbys. 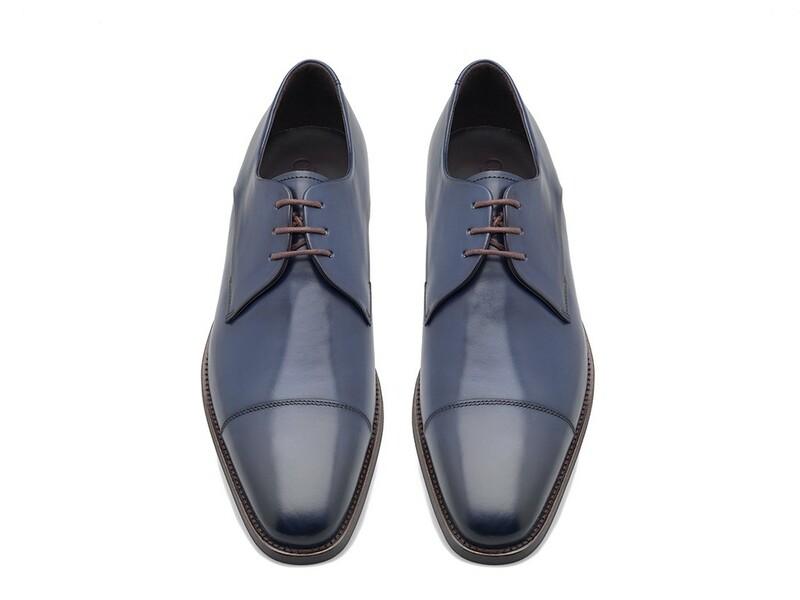 Artisanally handcrafted by our expert shoe makers, made from the finest rich blue calf leather. These dandy derbys feature three eyelet lacing, an elongated toe and stitched toe-cap. Set upon a durable rubber sole, fit for any season.